Many people describe the city of Beverly Hills as stylish and fashionable, while others view the excesses of Rodeo Drive-area retailers like Prada, Armani, and Tiffany’s as nothing more than shrines to wealth and privilege. Our monthly lunch group wasn’t really taking sides on the issue. 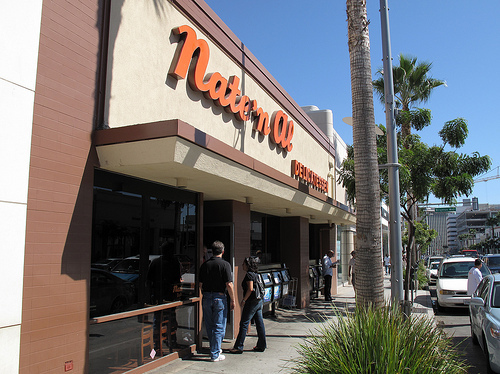 We simply made the trek there for a sandwich at Nate ’n Al’s Deli. 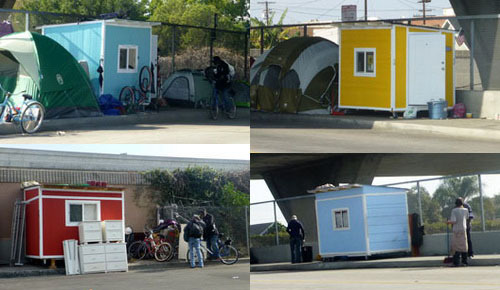 On February 12, at the request of City Councilmember Curren Price, city workers seized three of the four tiny houses on wheels for the homeless pictured above. They were located on the 42nd Street bridge over the Harbor Freeway and around the corner on Flower Street. One escaped by being rolled away by its owner. We telephoned Elvis Summers on February 15. He built the little structures and donated them to homeless people. He said the residents were not permitted to remove their belongings, including medications, before the structures were loaded on trucks and taken away. The houses are stored on a city lot. They had been slated for demolition but it appears that protests have led to city to begin a discussion of whether to go ahead with that plan. Seven more are scheduled to be seized. The film opens with five beautiful girls taking leave of their beloved teacher at the end of the school semester. The teacher comforts the smallest girl, softly calling her “kizim,” which means “my girl,” not as the translation in English says, “little one.” This child’s name is Lale. Her sisters are Nur, Ece, Selma and Sonay. Their power is – another Erguven metaphor – drawn from their collectivity. They are one: hydra-headed. Allen Company oil drill site at 814 W 23rd St, Los Angeles, CA 90007. Still closed in February 2016 pending outcome of City lawsuit and federal citations. A long-demanded reform moved ahead in the first week of February when Council President Herb Wesson secured a vote in the City Council to hire a full-time Petroleum Administrator. Mayor Eric Garcetti responded immediately that he was already interviewing prospective candidates, seeking persons with technical expertise in oil and gas operations. Supreme Court Justice William O. Douglas dissented to the majority decision in Sierra Club v. Morton (1972) 405 U.S. 727. The suit arose when the United States Forest Service permitted development of Mineral King then near Sequoia National Park — a national park in the southern Sierra Nevada east of Visalia, known for its giant sequoia trees. Mineral King is a subalpine glacial valley located – since 1978 — in the Southern part of Sequoia National Park. Serbian artist painter Milica Jelisavcic delivers a restlessness, a meeting of ground to human life, experience and need. Her expression of a universal life-source through stroke, color, and subject surmises a delicate yet gnarled and twisted bounty of riches through her use of pumpkin, high heels as metaphor. Milica was born in Bajina Basta, Serbia in 1984. Showing an early talent for painting, Milica’s first art show was at age seven. After attending the secondary “School of Design”, Milica was accepted to the Braca Academy of Fine Arts in Belgrade, Serbia. Precocious and determined Milica finished top of her class. 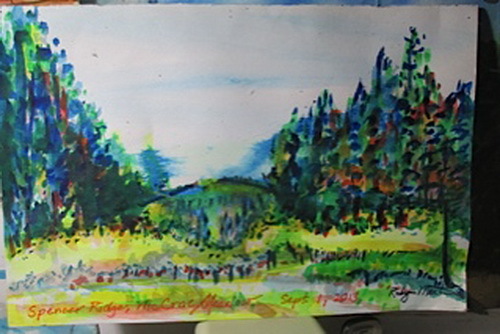 It is however the early connection to subject through the beauty and creativity inspired by her grandmother, who through use of all the walls in her home, provided Milica with her first canvasses.